One of the best books I’ve read all year. When it comes to flying under the radar, Ro Snow is the expert. No friends. No boys. No parties. And strictly NO VISITORS. It may be lonely, but at least this way the truth remains where it should – hidden. Then Tanvi Shah, the girl who almost dies, comes tumbling back into her life and Ro find herself losing control of her carefully constructed lies. Because if Ro’s walls come crumbling down, who’s going to take care of Bonnie… Bonnie. Never Mum or Mummy or Mother. Just Bonnie. 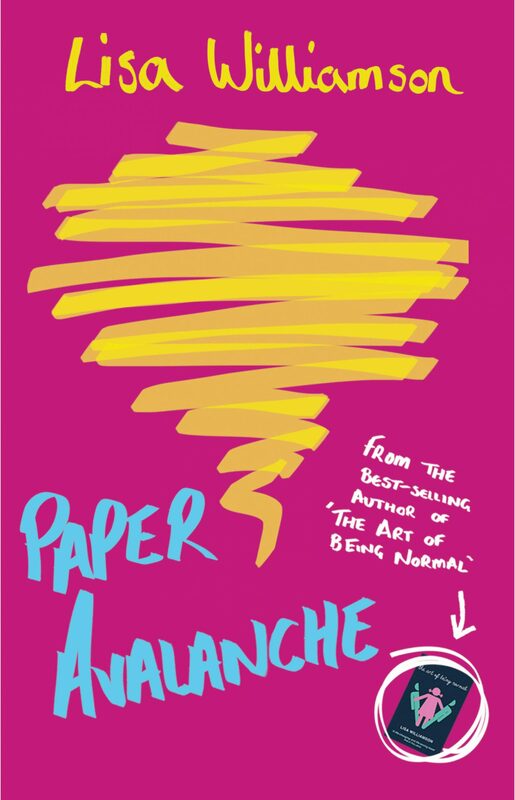 Paper Avalanche is actually the first of Lisa Williamson’s books I’ve read, so I had no idea what to expect from it or whether it would be my cup of tea. I turned to the first page with an open mind and was met with one of the most heartwarming and enlightening YA contemporaries I’ve ever come across. Our narrator is Ro Snow, a brave, strong and inspiring character that carries a huge weight on her shoulders at such a young age. She is so incredibly lonely, but she believes that’s the only way to be to stop her world from falling apart (I’m not going to give too much away about what’s going on in Ro’s life – you’ll just have to pick up a copy and find out for yourself). Her voice is smooth and flowing, meaning you’ll get sucked straight in and find yourself absorbed by her story within minutes. Somehow, even with all of the traits that should make Ro an unlikeable character, Lisa has managed to instil an understanding as to why she acts the way she does into the reader, even though Ro herself doesn’t realise it. That’s a pretty impressive feat considering Ro is the narrator of the entire book. It’s a chirpy and hopeful novel with so many moments that will make you smile, despite the serious and terribly sad story beneath it. Tanvi is one of my favourite characters ever. She is the friend everyone deserves. The contrast between Ro and Tanvi makes them such a great pair to read about – I couldn’t get enough of them. It snuck in there right at the end, but Paper Avalanche is without doubt one of my favourite books of the year. It’ll be available to buy from 3 January 2019 (I was lucky enough to get my hands on a preview copy) but you can pre-order it now from Amazon.